A few years ago, I went to National Geographic’s 50 Greatest Photographs exhibition and that was the one that stood out from the rest. I knew about the photo before but had never encountered it so closed-up in such a large scale. It brought me to tears. I didn’t know much about the Soviet – Afghan war then but when I looked into her eyes I saw pain, I saw struggle, I saw the immense ordeal she had to endure. It was all in one piercing gaze into my soul, seeking for my help and laughing at my complaint about how life was hard. Get into my shoes and you’ll see what hard life is actually about. That little girl – Sharbat Gula – is now a woman in her 40s, a mother of three who has survived the cruelty of war and carries with her the hope of education for her daughters. 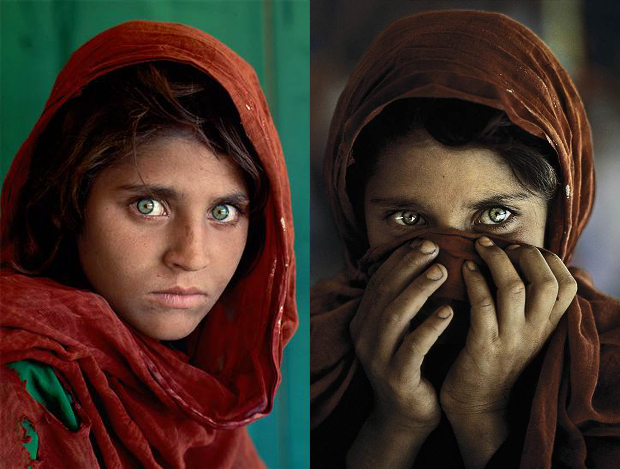 She is Sharbat Gula, but she is also the face of a generation of women. 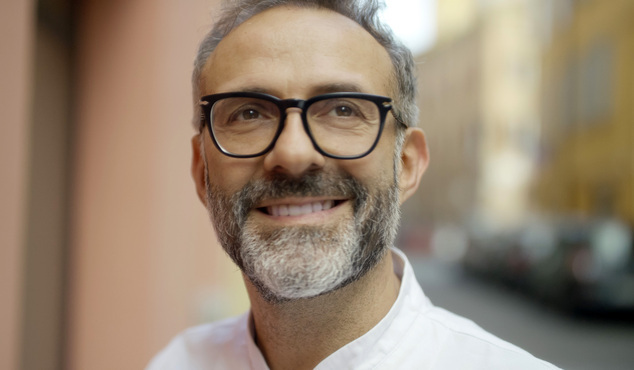 I’d never known about Massimo Bottura until I watched him on MasterChef Autralia recently. Judging by the cheering he received, I though “Hmm he must have done something, like other celebrity chefs”, but I was wrong. He was unlike any other celebrity chefs I’d seen before: the way he talked about his childhood, hiding under the comfort of the table while enjoying bits of tortellini dough fell from his mother’s rolling pin, or how his eyes lit up when he was given the crunchy piece of the lasagna from one of the contestants. All of a sudden a fifty-something-year-old man turned into a five-year-old boy who saw fireworks for the first time, nothing but pure excitement and enjoyment. People smile with their eyes. And he sure did, a smile so real and so genuine it brought me to travel into the past with him, reliving those beautiful memories. Food has transcended into a storytelling medium which Bottura skillfully uses to share his stories as his restaurant Osteria Francescana is ranked as one of the best 50 restaurants in the world. I used to volunteer at an organization that protects foreign workers’ rights in Singapore by giving them meals and advising on dispute cases with their employers. During that short period of time, I learned a lot about their lives, what brought them here, how they long to maintain contact with their families everyday and how they get along with their new friends. As they spoke, I saw tiredness, sadness and even fear in their eyes. But behind all that I felt hope. Some have paid employment agencies an amount significantly higher than their monthly salary (most of the fee was loaned) to come here, offering their labor in a foreign land in exchange for food and comfort at home. Some tried to recall their dispute to the minute details, hoping the organization could help them settle. I was not qualified to give them any advice but found myself drawn to listening to their stories. A vulnerable human being sitting in front of me, entrusting me with their issue, the least I could do was to listen and to let them know that there is one more person who cares and who thinks their issue matters. “What good is it to let yourself wander too much into other people’s businesses while not being able to help?” One of my friends asked. It’s obvious I’m not Mother Teresa who could change the world, but still, what Sharbat Gula, Massimo Bottura and the foreign workers show me when I look at them in the eyes is the diversity of life, which is full of talents that need to be celebrated and souls that need to be saved. They remind me to never feel complacent and to strive for self-improvement to contribute to life whatever I have in my capacity. I will not promise rocket science but one thing for sure, I will keep trying. And that, I believe, is looking into people’s eyes, wondering about their lives, has done me good.